Stunning 4 bedroom 2.5 bathroom home with woods behind fenced back yard giving you lots of privacy. Easy access to I-70 and short commute to Indy. Large, open style foyer welcomes you. The kitchen has tons of counter top space and a center island that opens into the breakfast room. Spacious great room has a cozy and inviting fireplace, perfect for family gatherings. Large Master bedroom with beautiful tray ceiling, walk in closet and master bathroom suite. Home also features office/den, bonus room, and tons of extra space. SchoolsClick map icons below to view information for schools near 5755 Chazimal Street Plainfield, IN 46168. Listing provided courtesy of Coldwell Banker - Kaiser. Home for sale at 5755 Chazimal Street Plainfield, IN 46168. Description: The property at 5755 Chazimal Street Plainfield, IN 46168 in Hendricks county with the BLC / MLS 21614153 is currently listed for $278,000 and has been on this site for 75 days. 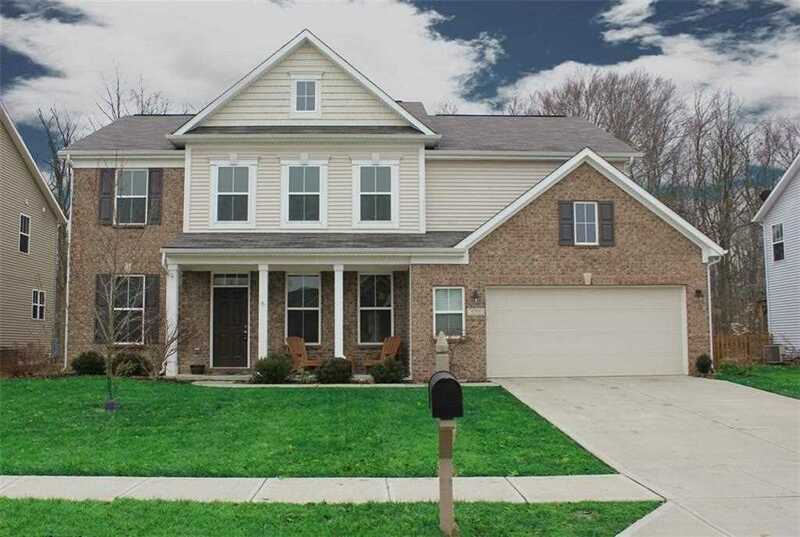 You are viewing the MIBOR listing details of the property for sale at 5755 Chazimal Street Plainfield, IN 46168, which features 4 bedrooms and 3 bathrooms, and is approximately 3041 sq.ft. in size.